The presence of one child would only be important to a world such as Davelda. The immortals of that reality secured their extended years by using their reproductive organs. 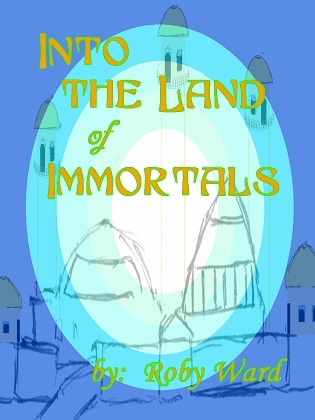 A child however enters their world claiming their heritage, and Davelda finds itself having to admit to an ancient fault. This tale of Terish Dozzrine moves from the world of Davelda to a benevolent divine realm in order to again satisfy the desires of a malicious deity. Terish's child has to face his own ancestry even as his parents has to face the God that enabled him to be sired. From a world of immortals to an immortal realm, the tale has the heroes working hard to determine how to properly face another ultimate threat. The opening to this book came into my head, and after working with it I started to work on the third Terish Dozzrine book. What came out I still consider one of my best works. From the opening and closing with Thaunya, to the development of the title, this book went over the top in quality. It was the first book that I wrote in first person fixed. Instead of writing with a floating PoV (which I consider more cinematic), I actually decided upon a set perspective for each section. Since first-person fixed is what publishers prefer, it was thus the first book truly of publishable quality. The book is available for Kindle and Nook. Remember the name of the author is Roby Ward.